Scorpio’s Technical Lead Andrew Goossen on what make Scorpio’s GPU standout from a PC GPU with the same amount of TFLOPs. Project Scorpio is shaping up to be an amazing piece of hardware and Microsoft are clearly leaving no stone unturned to make it the most powerful console of all time. The new system is powerful than the Xbox One, Xbox One S, PS4 and even PS4 Pro but what kind of benefits will it provide compared to the baseline Radeon equivalent of Scorpio’s GPU? 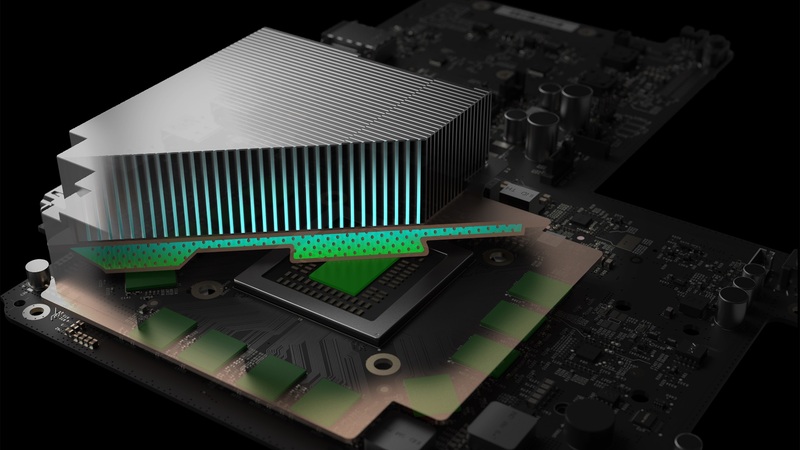 In an interview with Digital Foundry, Scorpio’s Technical Lead Andrew Goossen stated that although he doesn’t have any specific examples to state (possibly indicating towards a GPU series), the Scorpio’s GPU includes a number of features that simply can’t be implemented on the PC with a comparable GPU TFLOPs. Among these improvements include a better shader compiler and improvements to PIX which allows developers to achieve low level analysis. “Our performance analysis and modelling was so core to the entire design process of optimisation and adjustments that I don’t have a specific example to call out. We put every change we considered through the model. But in terms of ‘more from your teraflops’, I will point out that Scorpio has significant performance benefits relative to PC,” he stated. “Microsoft has made continual improvements to the shader compiler. We see significant performance wins for Xbox game content relative to compiling the same shaders on PC. [Secondly], ‘to the metal’ API and shader extension support allows developer to optimise in ways that simply can’t be done on PC cards. [Finally], PIX provides low level analysis and insight that, in conjunction with ‘to the metal’ support, allows developers to make the most of the console GPU. These technologies are all already mature and familiar to developers, so Scorpio games will benefit from the get go,” he further added. It will be interesting to see what kind of results we can see from this in terms of software. Microsoft haven’t revealed any games running on the Scorpio, except this screenshot from Forza Motorsport 6 but judging by the inclusion of custom shader improvements and updated PIX features, the Scorpio can possibly deliver better looking games compared to an equivalent GPU hardware on PC.